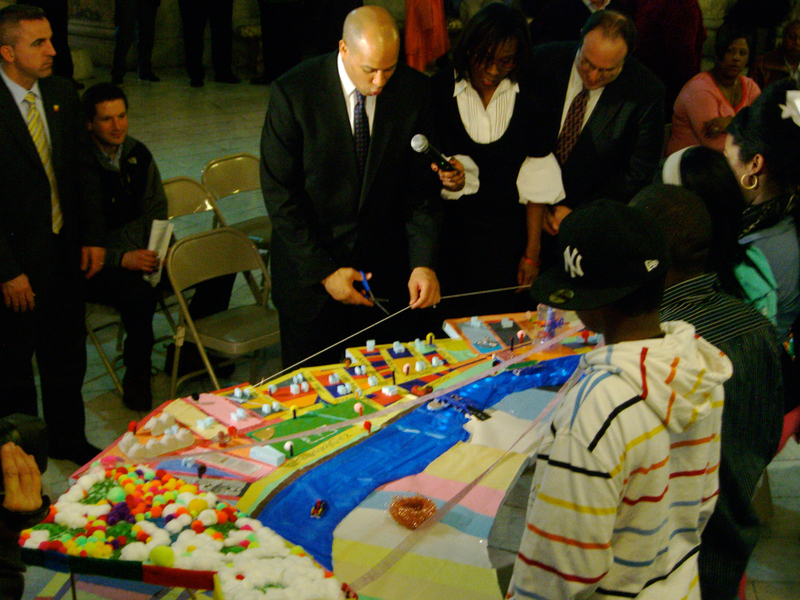 Please join Mayor Cory Booker for the opening of the exhibition Newark Riverfront 3000, on view in City Hall’s Basement Rotunda in March and April 2009. A collaboration between Newark’s Division of Planning and Community Development, the East Ironbound Family Success Center, and the Ironbound Community Corporation the exhibition is the result of a 4-month project by students from East Side and Arts High Schools. The exhibition features documentation of the current state of the riverfront and visions of what might be there in the year 3000 in the form of models, drawings, and photographs. 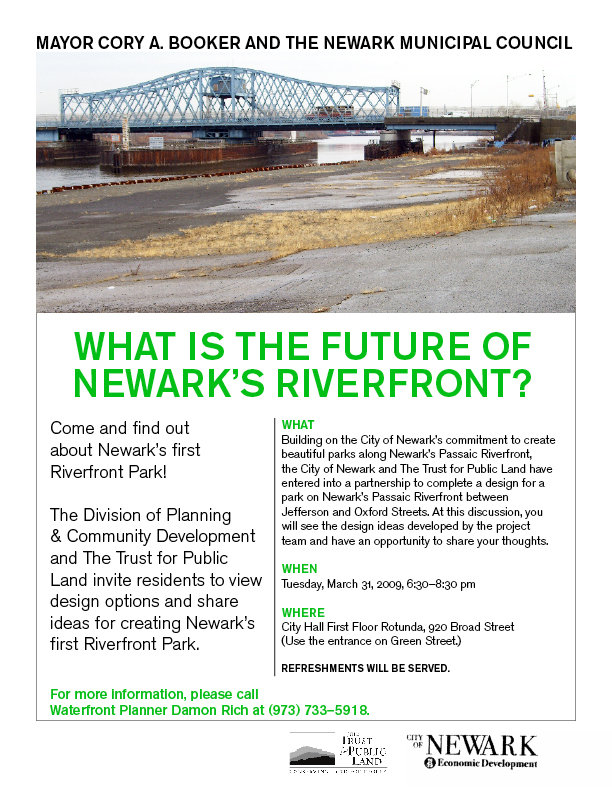 The event will also announce the public consultation process for the design of Newark’s first riverfront park in partnership with the Trust for Public Land. 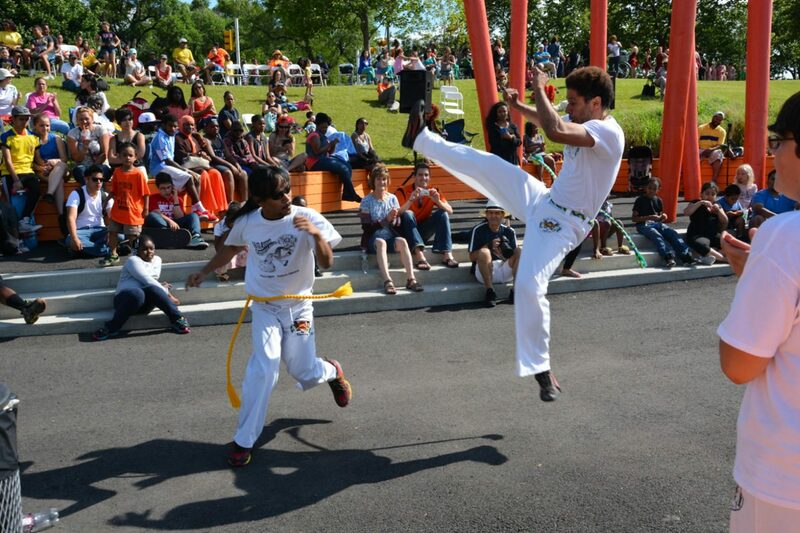 Preliminary design ideas for the park are scheduled to be presented to the public on March 31 at City Hall. This entry was posted in Public Programs, Youth Education on March 25, 2009 by newarkriverfront. 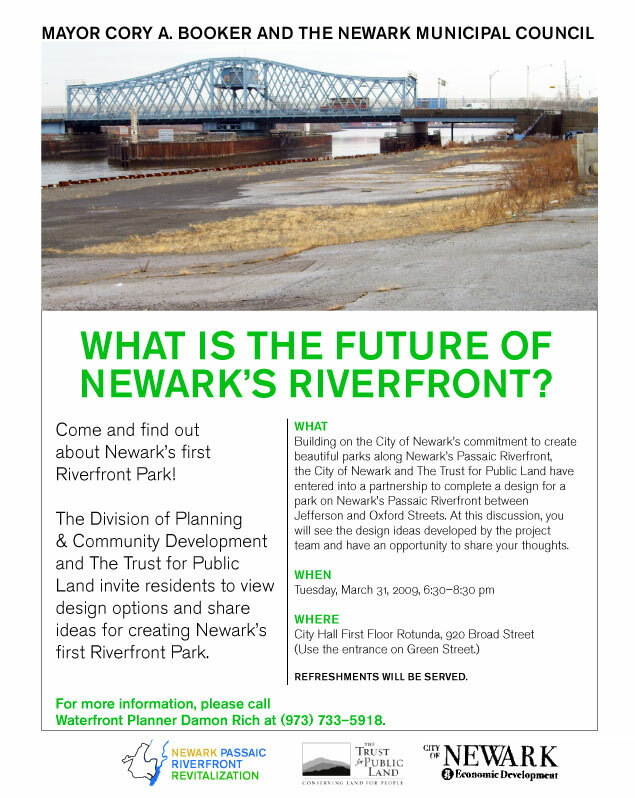 Please join us as the Newark Riverfront Parks project team shares design options with the public for discussion. This entry was posted in Building Things, Public Programs on March 15, 2009 by newarkriverfront. 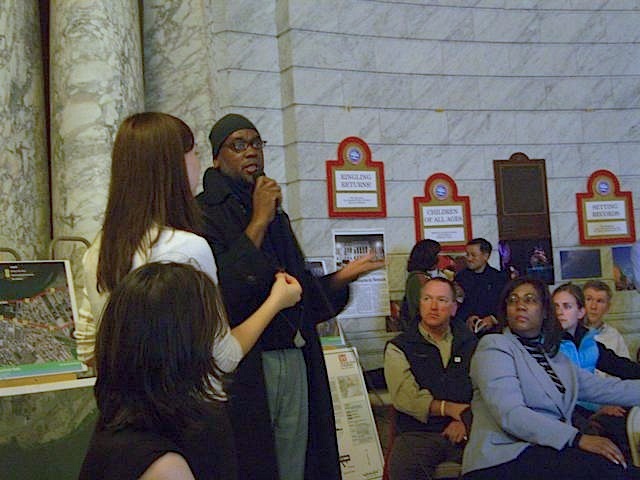 On March 10, 2009, over 100 people gathered in Newark City Hall to discuss plans for Newark’s first Riverfront Park. You can download a PDF of the public presentation here (9 megabytes). 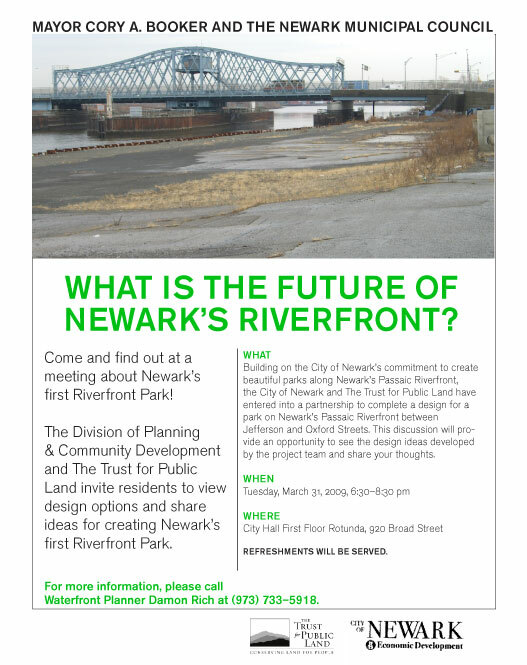 Watch this space for news on the next Newark Riverfront Parks meeting at 6:30 pm on Tuesday, March 31, 2009. 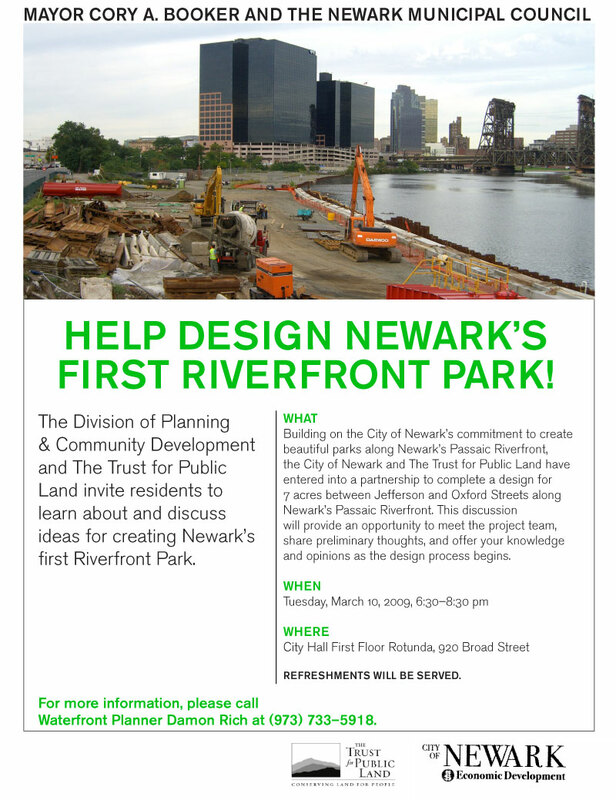 March 10: Help make Newark’s first Riverfront Park! As you may have heard in Mayor Booker’s State of the City speech, the City of Newark, in partnership with The Trust for Public Land, is embarking to create Newark’s first Riverfront Park along the Passaic River. On March 10, at Newark City Hall, the design team will have its first public meeting to share preliminary thoughts on the project and gather knowledge and opinions from the public. 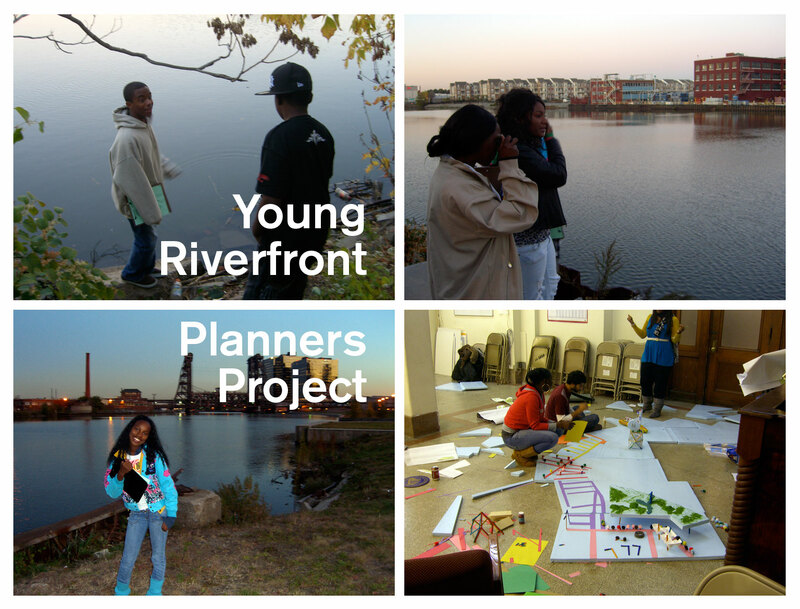 This is the first of many projects to come on Newark’s Passaic Riverfront, and we hope that a diverse group of Newarkers is willing to come to make this project the best it can be – a fantastic new public space for all Newarkers. This entry was posted in Building Things, Public Programs on March 2, 2009 by newarkriverfront.